Continuing our John Will interview series (which began here), we conclude with a discussion on the development of Australian BJJ, maintaining a global affiliate network and how to teach a great seminar. 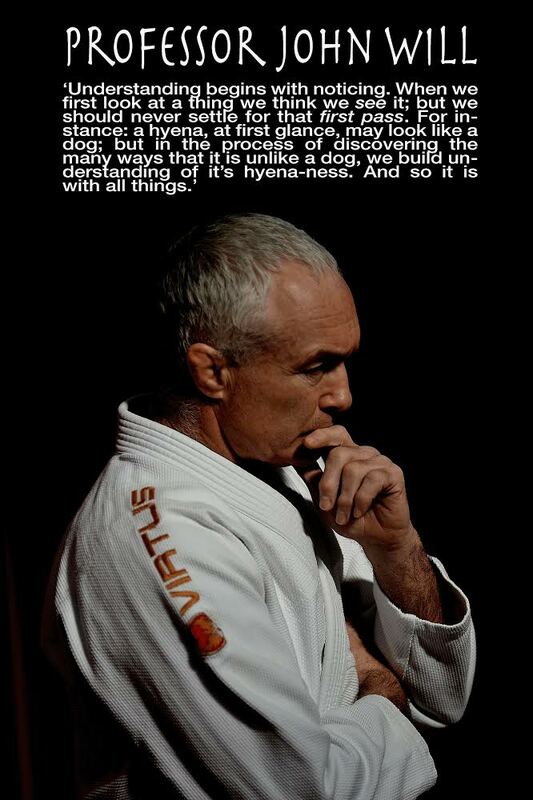 Sections of this interview appeared in Issue #010 of Jiu Jitsu Style and are reprinted with the kind permission of the editor. ARTEMIS BJJ: You were the pioneer of BJJ in Australia, with perhaps the major starting point being the ten day seminar tour you arranged with Carlos Jr and Renzo. What year was that and how did it go? JOHN WILL: I brought them over in 1990, they were on the cover of the magazine I had [Blitz]. Due to the magazine I had some minor influence, so I was able to set up some seminars for them. We did three or four and a lot of people came: I think it was about sixty. It was well attended, given that at the time, BJJ was unknown. The only reason anybody in Australia knew anything about it was because I’d written two articles. The UFC hadn’t hit yet, it was just not on anyone’s radar. In fact, if I’m not mistaken, outside of Brazil there was hardly anything apart from Rorion’s school in the States. So, people came along and it was great. They wrestled everybody and everyone went “Oh my goodness.” We just lined them all up and it was mayhem [laughs]. There was Carlos Gracie Jr and I was a ‘seasoned’ white belt, Renzo was a brown belt. That was the start of the groundswell I guess. ARTEMIS BJJ: When I recently went to Scotland, both the instructors I interviewed cited a Royce seminar as their starting point, so it seems to have been a seminal moment there. Was the Carlos Jr and Renzo seminar tour around Australia at all similar? So, I guess what it did was put me in touch with some people who said, “Do you mind coming to my school and giving me a lesson?” I then started to do…well, I wouldn’t call them seminars, but I visited people’s schools and ran a class for them. It got that going, then people heard about it interstate and would ask, “Can you fly up and teach a seminar?” I’d think, “A seminar? I’m not worthy,” blah blah blah. It was only when I got a purple belt and came back that I started saying yes to things like that. I felt that I could offer something as a purple belt and started doing seminars. I’ve done them ever since. ARTEMIS BJJ: What are the main changes you’ve seen in Australasian BJJ since then? JOHN WILL: When it started out, all of us – myself included – were already invested in some other martial art, but were adding a little jiu jitsu to their classes. There is still quite a lot of that going on, but over the years a big thing has been bringing people up through the ranks. I got a black belt, then I had to create people to brown belt, when I got my second degree I was able to grade people to black belt. Now there are plenty of schools that are purely BJJ schools. That’s the biggest change I’ve seen. Now there are BJJ schools with hundreds of students, who are standing on their own two feet without teaching anything else. I had no idea that was going to happen. I didn’t particularly want that to happen. I just thought I would add some of this stuff to what I’m already doing. I didn’t know BJJ would take over my life. ARTEMIS BJJ: Do you think there is anything different about Australian BJJ compared to other national scenes? JOHN WILL: In Australia, probably New Zealand too, there is probably – and certainly was in the early days – a bit of problem solving going on. When you’re isolated, you can’t just run over to your coach and ask for an answer, you’ve got to start thinking for yourself and analysing. I think there was a lot of that going on, whereas in America they got lucky. In Australia, we were behind the eight ball and isolated – like the UK was – it had value. We really valued any technique. Each technique, each strategy, each concept was like a gold ingot. In America, I think it was just a silver ingot, if you know what I mean. That underpinned the way we had to solve problems ourselves. America is a large place, so there is a lot more crazy stuff going on, people doing 50/50 guard and all these weird things. Probably we’re a bit more fundamental than that. Good solid fundamentals, maybe because that’s all we had to work with at the beginning, we had that ethos. In America, they liked to create a lot of stuff. I’m not saying either is right or wrong, it is what it is. Some people need to do that, but I think you can go down a weird and windy path. Go underneath there, get under deep half, wrap his belt three times around his leg, put his gi collar in your mouth. That’s all cool and fun, but it has no relationship with reality. We don’t do as much of that. “Oh x-guard, yeah, that’s cool.” I learned x-guard way before it was called x-guard, twenty years ago. We’re a little bit more like the UK, in that I think we’re more pragmatic, not off in Disneyland like some people elsewhere. ARTEMIS BJJ: You are a very experienced seminar instructor, having taught all over the world for decades. What in your opinion are the keys to teaching a good seminar? JOHN WILL: Firstly, you have to engage the class. The class must be fully engaged. It doesn’t matter how good your information is – and it certainly doesn’t matter how good you are – if they are not one hundred percent engaged with what you’re doing. So, the first thing is the science of engagement, it’s a big subject. You also have to have a very profound understanding of the subject matter, irrespective of what you’re teaching. Not a cursory understanding, a deep understanding. That has to be delivered in a way that is idiot-proof. You might be teaching something that is seemingly quite complex, but if you break it down so that it is very process driven, A-B-C-D-E-F-G, then the worst person on the mat can do it and have a sense of achievement. I think that is a very important skill. You’ve got to be a world class noticer. You have to be on that mat and you have to really notice what’s going on, that’s a key element as well. It also needs to be highly structured. You can’t have people just facing any direction, going any which way, letting them decide when they switch partners. No. You need to guide them through the process so there is very little room for misinterpretation. ARTEMIS BJJ: I had another question on what challenges you face as an instructor with so many affiliates on different continents, which you’ve essentially answered already. I guess there is a similarity in what you were saying about having to take BJJ back home and develop it there, with lots of people asking you for seminars: it sounds as if your broader affiliate network is an extension of that? JOHN WILL: Let me first say, it was accidental. I had no plans for that, people ask me to come over. I don’t like taking responsibility for grading people, especially if I can’t get to them very often. In Australia, it’s easier now because we have a lot of black belts. The class has already been taught by a black belt, then I turn up, though even there it is every three months. I’ve got a circuit that I do three times a year, so I get a lot of contact. Over in the UK, I only come here once a year, so it is very difficult. I’ve just taught seminars on this trip to people connected with Royce, with Braulio or with whomever. They come to my seminars because they like my teaching style and all of that stuff. The last thing I would ever do is encourage them to come over to us. No, stay with your instructor and be one hundred percent loyal, I’m a big believer in that. I would discourage anyone from jumping ship. I don’t want to take responsibility, because that is a big responsibility. To take someone from white belt to black belt, you’re talking about a ten to twelve year commitment of your life. From my point of view, that’s the last thing that I want. There are a couple of people in the UK who have said, “No, I want you to do it,” and I’ve reluctantly agreed, but I’m not saying that anymore. I can’t do my job, I can’t fulfil that obligation as well as I would like to be able to fulfil it. ARTEMIS BJJ: As you’ve said, you’re not trying to attract potential students from overseas, but what do you think you have to offer that perhaps a local black belt does not? JOHN WILL: I teach very differently, that’s the feedback I get. People come because they’re only going to get that from me. Not only that, as I’m not only teaching jiu jitsu: it’s my vehicle for them learning how to apply principles from jiu jitsu in the wider aspects of their lives. I like doing that. I think the jiu jitsu community is pretty interesting in that a lot of people are very willing – certainly all the student base are willing – to fraternise. That’s how life should be, right? Some of the instructors might not like that, but they’re losing sight of the fact like-minded people want to get together. It doesn’t mean that they’re going to be disloyal: they’re going to come right back to you. By allowing people to get together…guys are doing it everywhere. They train at one school, then get together at weekends in their garage and they’re from five different places, because they want time to fraternise and compare notes. They’re not going to jump ship, they’re going to go right back to their instructor, but people want to share the experience. I think that’s a great thing. ARTEMIS BJJ: Is there anything else you’d like to say to the readers of this interview? JOHN WILL: I think that when we’re on the mat, the least return on investment is when you learn a technique that is a solution for a specific situation. If you can learn something off your instructor that you can see six or eight ways to apply throughout your game, then that is a way better return on your investment in time. But the next level again is if you can figure out a way something you’ve learned on the mat can be used in the wider landscape of your life. Your marriage, your business, the way you live. That’s the biggest return you can ever get on your training. Don’t just keep a narrow focus. Think about the wider use of what you’re learning, because there are some deep and meaningful concepts in BJJ that we can apply to all aspects of our lives. To not recognise that is really missing the point. I use jiu jitsu as a way of living my life.